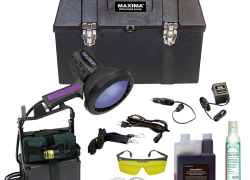 MAXIMA™ Aviation Leak Detection Kits Feature state-of-the-art Micro Discharge Light (MDL) technology! 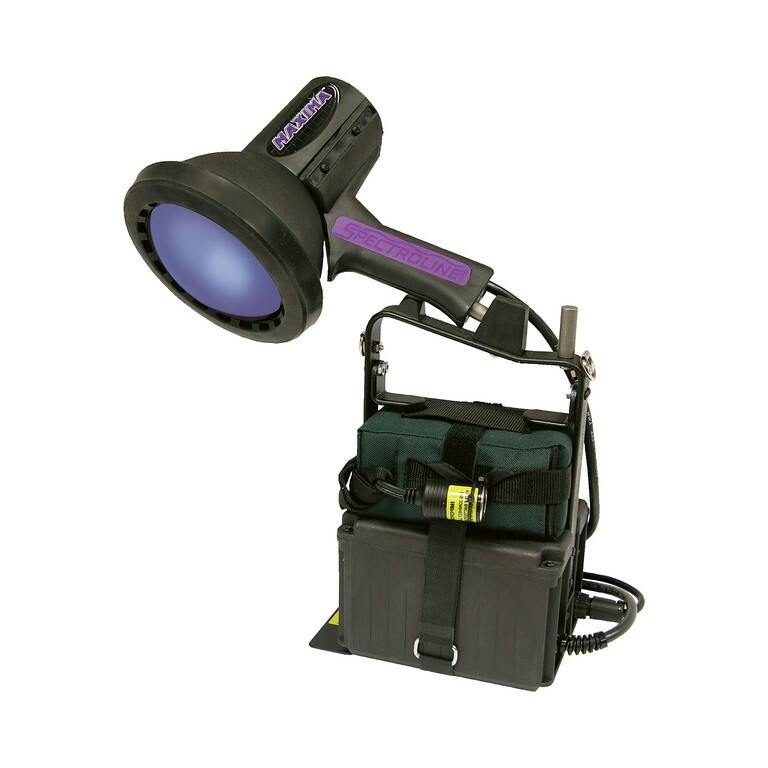 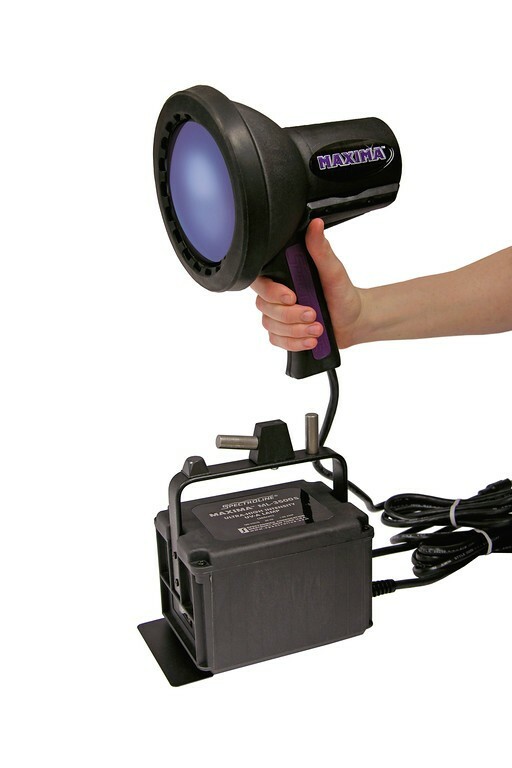 Ultra-high UV intensity delivers unprecedented power—up to 10 times the UV-A output of conventional High Intensity Discharge (HID) lamps! 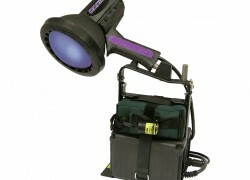 Instant-on operation allows lamp to reach full intensity immediately. 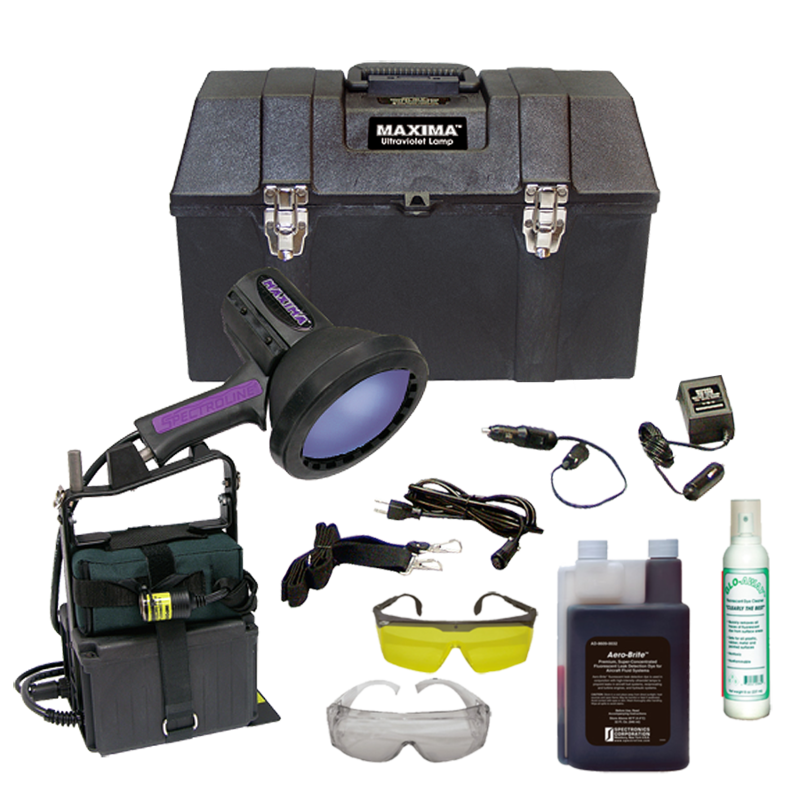 For maximum convenience, a portable, battery-operated “MA” version is also available.